The Rangers will look to get back on track against the sharks at MSG> Photo courtesy of MSG Photos. After just six games into the season, it’s certainly too early to deem a game as “must win.” But with all of the concerns surrounding the team’s performances in their last three games, the Rangers would surely like a feel-good win. The Rangers (3-2-1) will look to snap their three game losing streak against the San Jose Sharks (4-1-0), who are proving their doubters wrong after five games. Dan Girardi stated that the Rangers “need to stop the bleeding at three [losses],” and a rebound game is needed. This game comes exactly one year since these two teams last faced off at Madison Square Garden, a game in which the Rangers came away with a 4-0 win. Rick Nash and Martin St. Louis scored four seconds apart, and Kevin Hayes scored the first goal of his NHL career. Henrik Lundqvist picked up his first shutout of the season. The Sharks couldn’t meet expectations last season, failing to reach the playoffs for the first time since 2003, and just the second time in 17 years. Since the end of last season, they hired a new coach, made some offseason moves, assigned a new captain, and are off to an excellent start to begin the season. Their biggest offseason acquisition was moving on from Antti Niemi and getting a new goalie to build their franchise upon. The Sharks snagged former Kings backup Martin Jones from the Boston Bruins, and needless to say, he’s been everything as advertised. Martin Jones has won all four of his starts this season, allowing only two goals in those games, picking up two shutouts and stopping 108 of the 110 shots he’s seen. 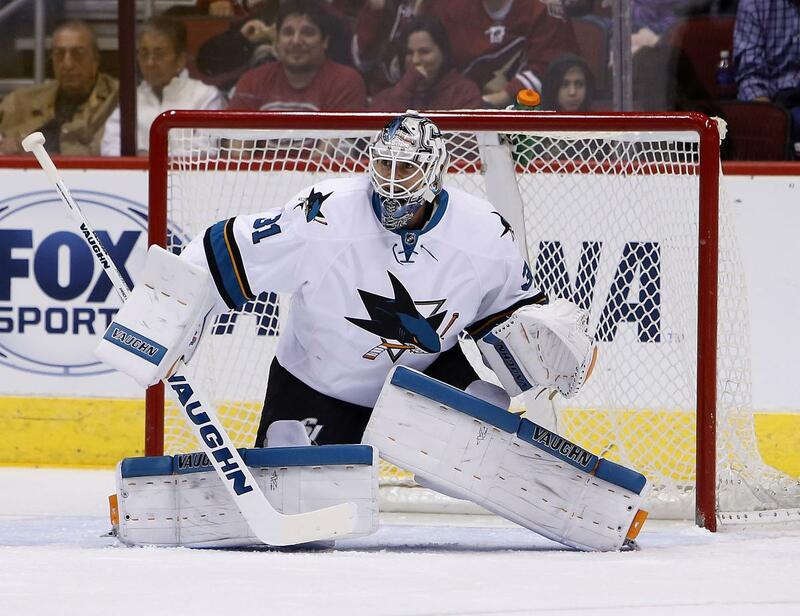 Jones is tops in the NHL in GAA (0.45), save percentage (.982), shutouts (2), and second in wins (4). Photo courtesy of Rick Scuteri/Associated Press. After facing off against Carey Price and Cory Schneider, things don’t get any easier for the Rangers. San Jose also boasts one of the league’s best offenses, averaging over three goals a game thanks to a strong group of forwards and four strong lines. Pete DeBoer has provided this team with a new sense of energy and identity, and it’s paying off. After being stripped of his captaincy following the 2013-14 season, Joe Thornton has remained motivated and a leader, and he’s leading by example to start off the 2015-16 campaign. He’s averaging a point per game, tallying two goals and three assists, with two of them coming against the Islanders on Saturday. Skating alongside the new captain, Joe Pavelski, makes the Sharks’ top line very scary. With Logan Couture sidelined for the foreseeable future with a broken leg,Tomas Hertl will be counted on as the team’s second line center. Hertl, 21, tallied 31 points (13-18-31) last season, mostly serving as a bottom six forward. The Czech center has been given the tools to succeed, paired with Patrick Marleau (3-1-4) and newcomer Joel Ward (1-3-4). He’s my player to watch for the Sharks. There hasn’t been a starting goalie confirmed for the Rangers tonight, but it really does seem like Antti Raanta will make his Rangers debut. AV did say that Raanta would get a start soon, and Henrik Lundqvist has played six straight games, including a back-to-back already. It would make sense for him to get some rest and come back in on Thursday against the Coyotes. 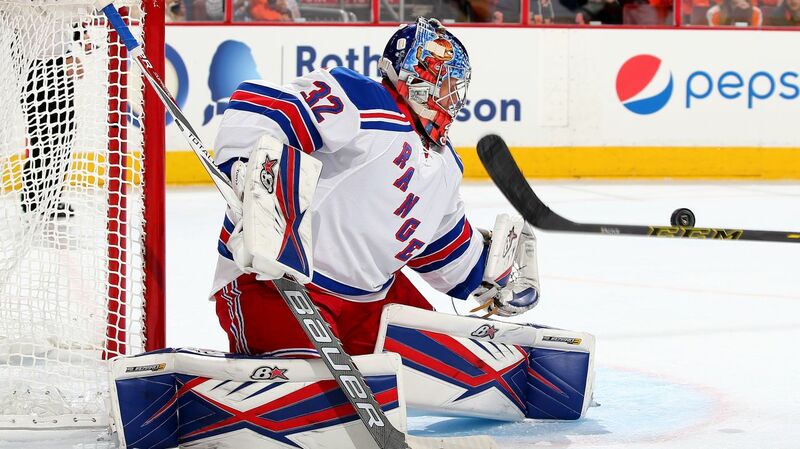 Antti Raanta could make his Rangers debut tonight. Photo courtesy of Getty Images. Raanta is 20-9-5 in his NHL career with a 2.41 GAA and a .912 save percentage. He was superb in 14 games last season, posting a 7-4-1 record with a 1.89 GAA and a .936 save percentage. If tonight is his first start, the Rangers will need him to be on his A-game, and in front of a rowdy crowd at the Garden, he’ll likely be energized too. The Rangers have not been good offensively in their last three games, scoring just two goals in the last nine periods of play. More concerning is the lack of production from their supposed best players. Rick Nash and Chris Kreider, both expected to be leading scorers this season, have not found the back of the net once. Kreider has been strong in bursts, but continues to disappear at times, while Rick Nash hasn’t been all that noticeable in any of the six games. Derick Brassard only has a goal and an assist, but he’s coming off of one of his best performances this season. The top six, mainly this trio, needs to be better. Derek Stepan and Mats Zuccarello have been the two bright spots, and both of them are playing on the same line. 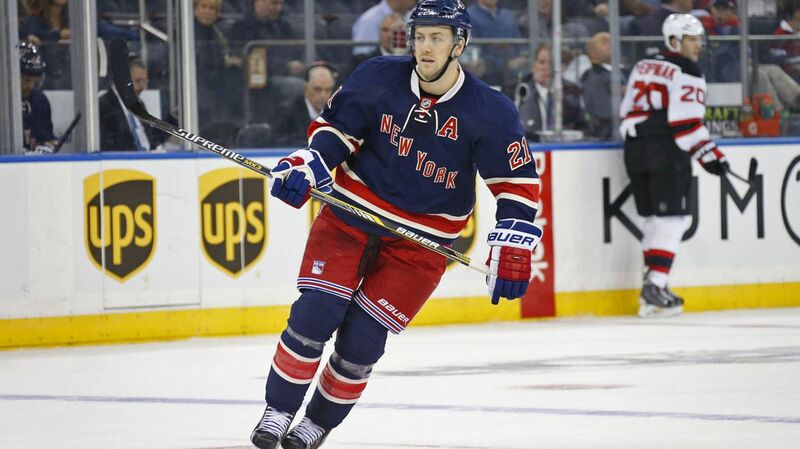 Stepan scored his third goal of the season last night, giving him four points to start the season. Zuccarello’s three goals are good enough for second on the team. Stepan and Zuccarello will be focal points of the offense tonight. With Kevin Hayes centering the third line, they spent a good amount of time on attack, creating some great scoring chances and performing very well. JT Miller had some good moments, and Oscar Lindberg had a great first period, picking up his first career assist. Assuming this line doesn’t change, I see them scoring a goal. On defense, Dan Boyle, Dan Girardi and Ryan McDonagh all need to be better. 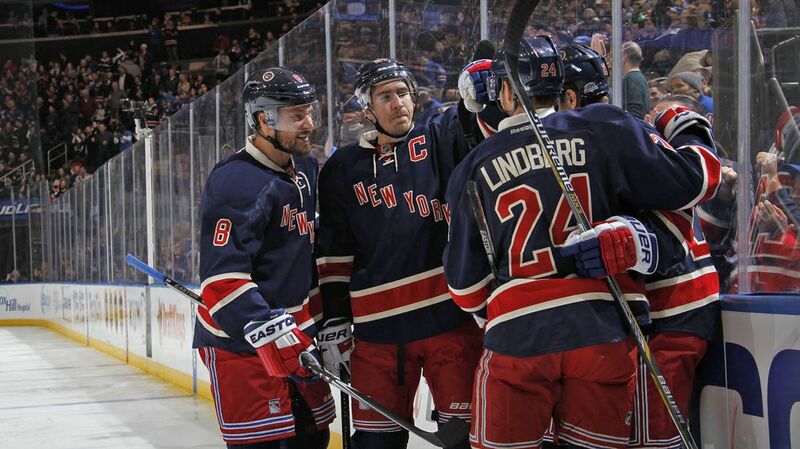 None of them have enjoyed particularly good starts to the season, and McDonagh hardly looks like his usual self. Thanks to Lundqvist, they’ve still been in games, but the defense needs to be better. The power play. Goalless in their last 12 opportunities. Nothing to say except get to the front of the net and score some damn goals. The Rangers and Sharks will face off at Madison Square Garden at 7 PM. The game will be broadcasted on MSG Network. Posted on October 19, 2015, in Game Previews and tagged Alain Vigneault, Chris Kreider, Dan Boyle, Dan Girardi, Derek Stepan, Derick Brassard, Dominic Moore, Dylan McIlrath, Emerson Etem, Jarret Stoll, Jesper Fast, Joe Pavelski, JT Miller, Keith Yandle, Kevin Hayes, Kevin Klein, Madison Square Garden, Marc Staal, Martin Jones, Mats Zuccarello, MSG, New York Rangers, New York Rangers blog, NHL, NYR, Oscar Lindberg, Rangers, Rangers blog, Rick Nash, Ryan McDonagh, San Jose Sharks, Viktor Stalberg. Bookmark the permalink. Leave a comment.